Kids of all ages often have a hard time dealing with moving. They may not be able to understand why the family can’t stay in the same place forever. Even with explanations, children often can’t readily envision how amazing the new place will be. Here are some ideas for helping your kids deal with the move. For a lot of kids, a big sore spot with moving is having to say goodbye to friends and schoolmates. They may even feel like you’re intentionally wresting them away from their friends. To demonstrate how much you understand the sacrifice, make a gift of a cute set of note cards, stamps included. Even if your child chooses to text or email old friends instead of write, they’ll appreciate your gesture. 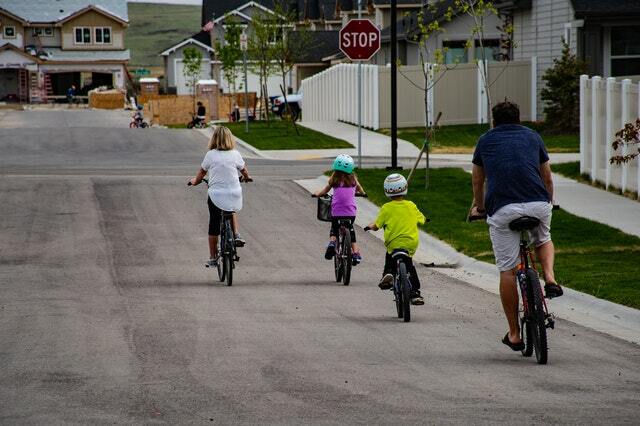 If possible, bring your kids to visit the new neighborhood where you’ll be moving. Encourage positive anticipation by signing them up for things like a library card, pool membership or a community event such as an Easter egg hunt, relay race or something similar. Consider enrolling them in a fun local class such as pottery, horseback riding, or something else they would enjoy. This helps your kids to focus on the upcoming activities instead of leaving their friends behind. When you’re busy packing and readying for the big move, old routines often fall by the wayside. But children need routines to feel safe. Strive to keep as many old routines as possible in the preliminary days and weeks before the big move. For example, if Wednesday is always family game night, stick to the plan. Your kids will feel more secure knowing that some things will stay the same, even in a new location. Above all, make the time to listen. Your child might have concerns that you hadn’t thought of, like having to give up their dog or cat in order to move to the new house. Don’t worry, though. Kids tend to adjust very well to new situations. With your support and a few tips like the ones mentioned above, your children will make a happy transition to your new home. A trusted real estate agent can be a wonderful resource who can point you toward family activities in the area of your new home. Be sure to make contact as soon as you are ready to start your new home search.